CREATED TO ELEVATE YOUR SPIRIT, THE LISA L DESIGNS CLOTHING COLLECTION HONORS WOMEN. WOMEN OF ANY AGE. WOMEN OF ANY SHAPE OR SIZE. THE STYLES CAN BE DRESSED UP OR DOWN. THEY CAN BE WORN FROM MORNING TO NIGHT. THE CLOTHING COLLECTION SUPPORTS YOU ON YOUR JOURNEY WITH EASE. EASE OF COMFORT AND EASE IN LAUNDERING. EASE IN THE EXPRESSION OF INNER AND OUTER BEAUTY. ULTIMATELY, WEARING LISA L'S DESIGNS EMBRACES YOUR BODY AND SOUL AND RAISES YOU WITH THE ENERGY OF CREATIVE LOVE. "Honestly, Lisa L's clothing is superb! It is cool, comfortable, easy to launder, and best of all it MOVES with my BODY!! You can see that I wore Empower for my exercise (hiking)...no riding up or wedgies! Love 'em." 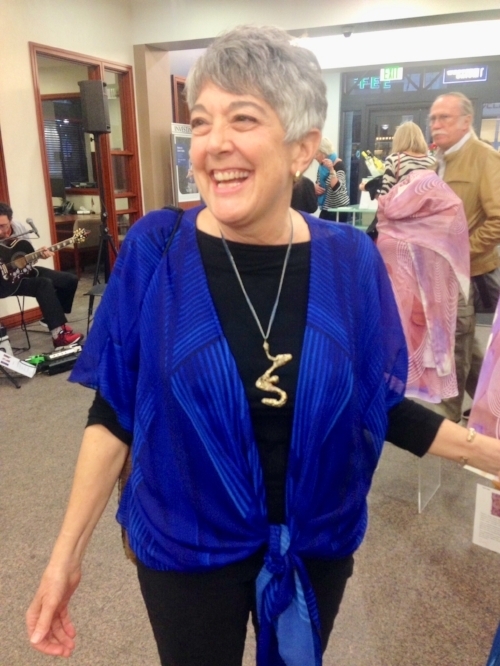 "I love wearing Lisa L's scarves! They enhance my mood and bring in the beautiful energies for me when I wear them. I've found many different uses for the scarves as each one is a piece of art. 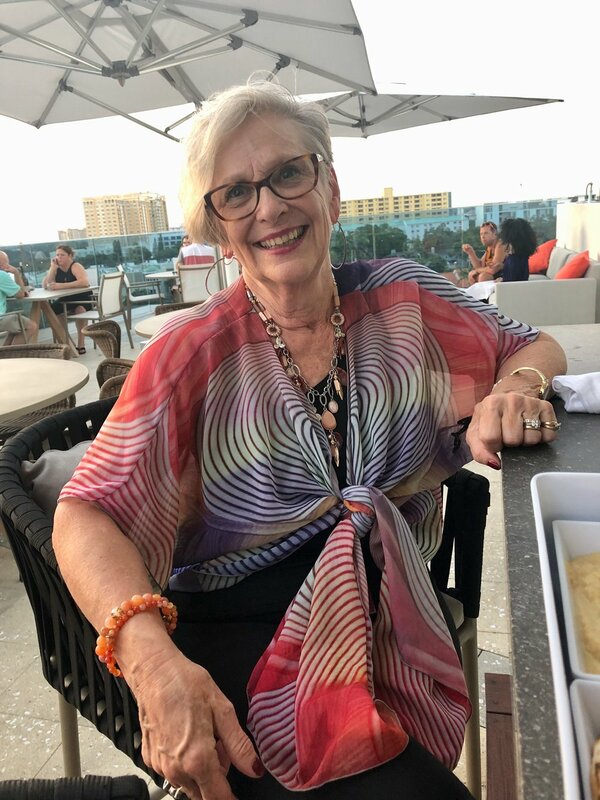 I currently have the Empower scarf as a table runner that enhances the decor of my home for the fall-Thanksgiving season." "I chose the Woohoo! design to wear for my Save-the-Date wedding photos!" "Whenever I wear one of your scarves (and I have Empower, Woohoo! and Cascade), it actually sets my intention for the day! That mind, body, spirit connection seems to come alive. I also think they add color, enhance my outfit and make me feel and look good! Love it, love your scarves, love you, Lisa L Designs!" 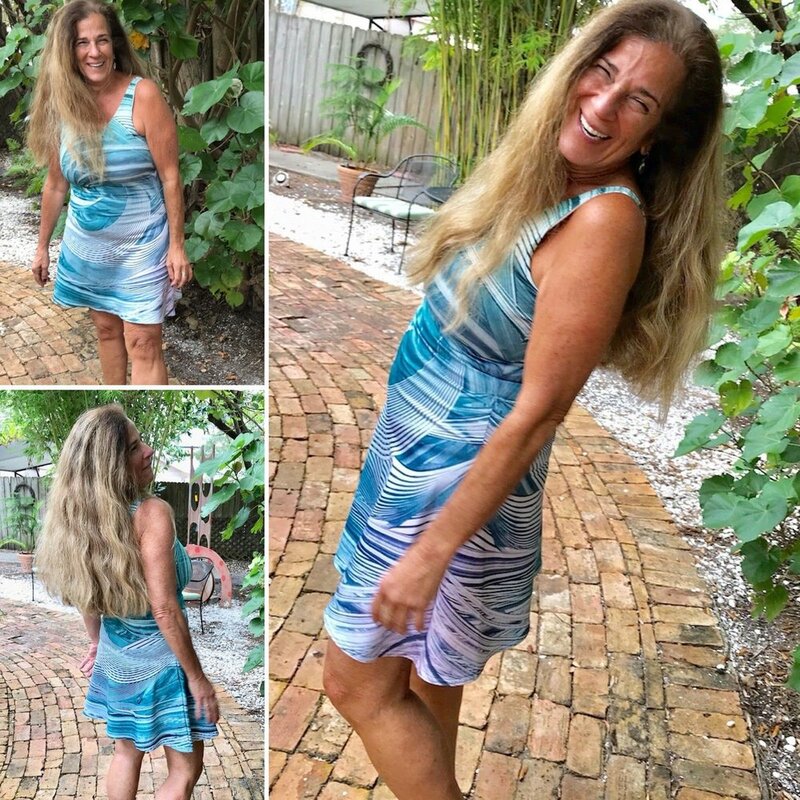 "I just love my bright blue Gratitude dress by Lisa L Designs! It can be dressed up or down depending on the occasion. It washes beautifully and never wrinkles which makes it great fro traveling. I added a kimono jacket for an evening on the town!" 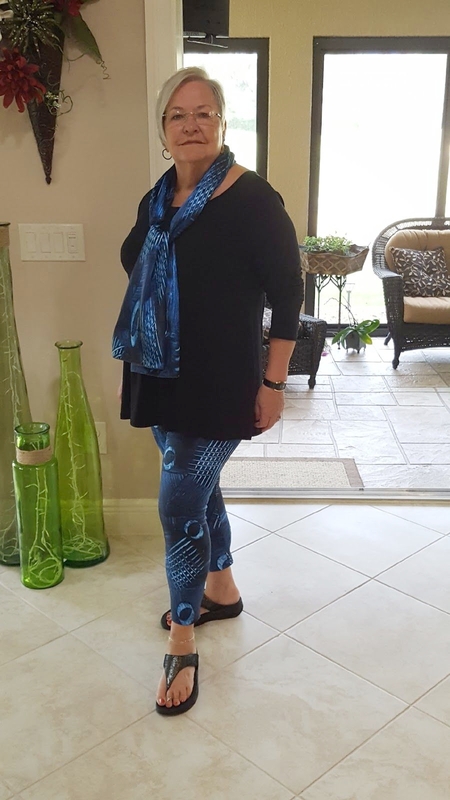 "Lisa's clothing takes the vibrancy and line of her art and wraps it around the body to accentuate one's shape in the most gorgeous and playful ways. You should see my tush in my fabulous pants! Comfortable enough for yoga and sassy enough for brunch; I can see more of her clothing in my future." "I feel strong and I feel free and I am all those things when I wear the Empower leggings." "The Empower tank top stays in place so I don't have to focus on my clothing in yoga class. I can be in the yoga moment without re-adjusting my top. Not only that, I can wear the tank top all day long." "My Frolic headband is lightweight, comfortable and fashionable. But my favorite part - it was made with insight, feeling and intention. I love to wear clothes made this way and with purpose." 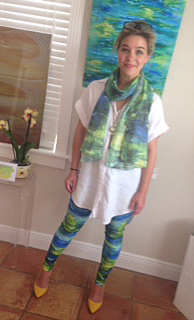 "It is so easy to coordinate my clothing for the day with leggings and a matching scarf." 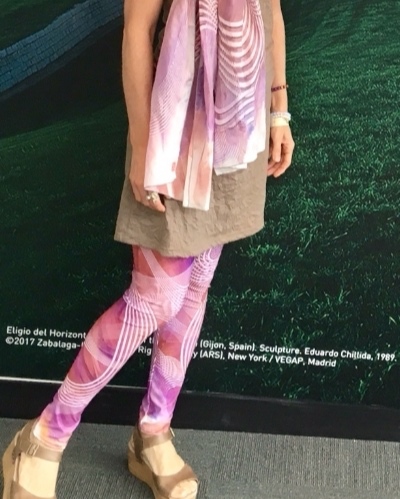 "I’m excited to be wearing amazing artwork for my presentation in South Africa. 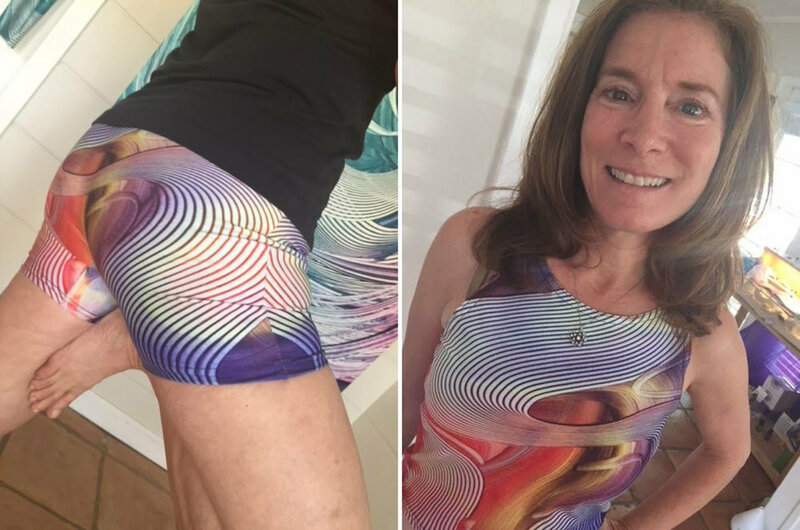 The name of the dress is Vortex...How perfect is that for creating a ripple?" "Flowing into the weekend in my Vortex kimono." "Ahhh...I feel as if I am moving through life with simple elegance and mindfulness when I am wearing Lisa's scarf, Grace." "I have collected several Lisa L scarves. Now I am showing her the many ways they can be tied!" 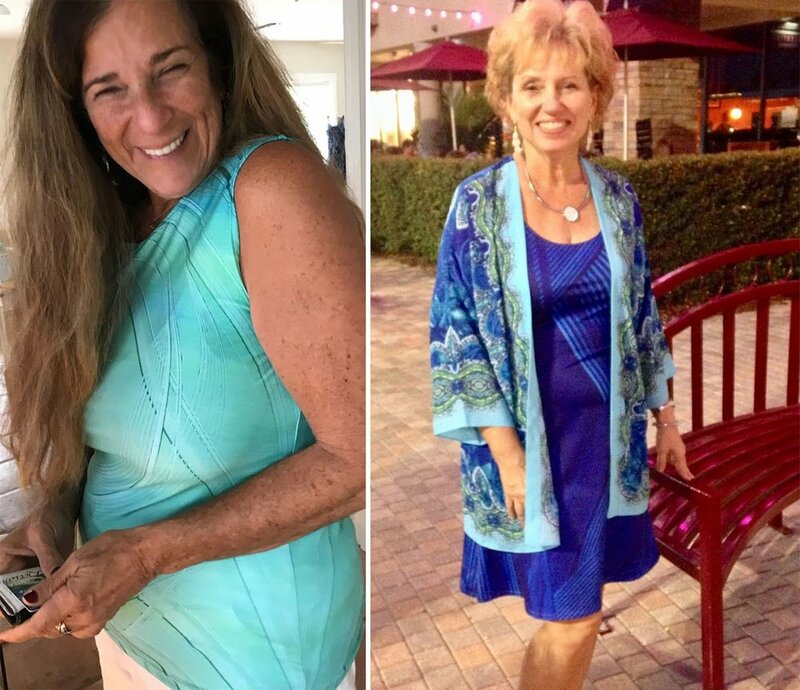 "When I wear the Empower dress I feel confident, beautiful, light and flowy. It brings out the color in life. I am always complimented when I wear Empower and others say that they feel happy seeing it!" "When I wear Empower I actually feel empowered. There is something about it - that when I go through my day nothing can stop me. I feel good the entire day - from my work day and then out eat with my family. I feel lifted up and I know that what I was wearing affected my day in a positive way!" "I wear the yoga leggings both on and off the mat. It simplifies my life." 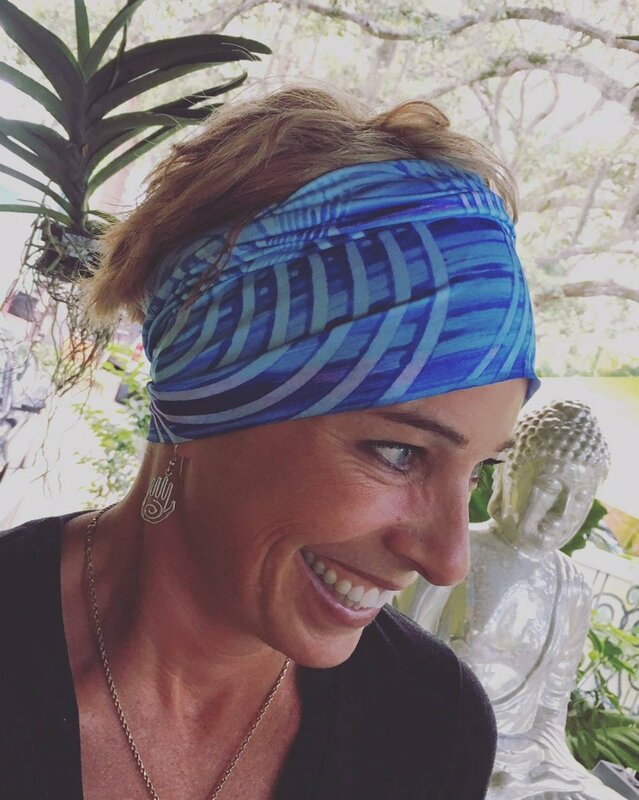 Celebrating Lisa L's Clothing to Elevate Your Spirit!